It’s been a minute since we checked in on Hawaii’s Kilauea volcano, but the pyrotechnic wonder that’s given us blue fire, rivers of lava, and volcanic tornados hasn’t slowed down. Recently, the eruption birthed something far more earthly but equally spectacular: A new island. 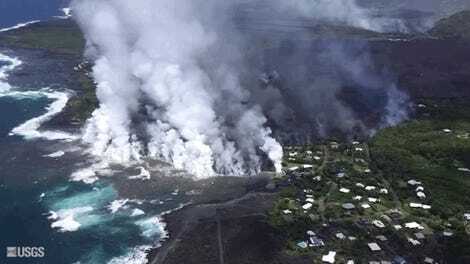 Photos released by the US Geological Survey’s Hawaii Volcano Observatory (USGS HVO) on Friday reveal a tiny island that formed just a few meters offshore from the lava’s ocean entry on the eastern edge of Hawaii’s Big Island. 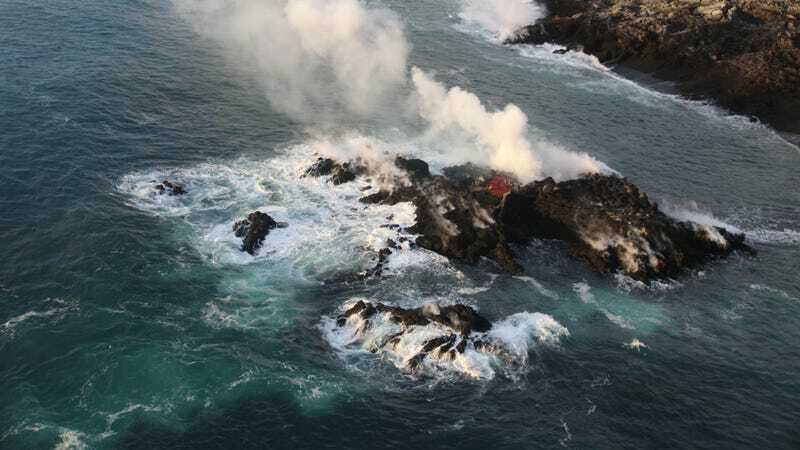 The wee island, which was just 6-9 meters (20-30 ft) in diameter, was oozing fresh lava as an HVO field team spied it during a Friday morning flyover. The emergence of features like this shouldn’t come as a surprise. After all, copious volumes of molten rock are still pouring into the ocean, mainly thanks to the continued supply of lava from Fissure 8, the most active fissure in Kilauea’s Lower East Rift Zone. A delta formed by the flow of lava into the ocean has built unstable land that reaches up to half a mile from the former coastline. Per the USGS, this is just another expression of Fissure 8's flow. The agency says the island may be a submarine tumulus, or a feature that built up underwater before peeking through to the surface. Whatever else it was, by early Monday morning, the nameless island was no more—well, not exactly. 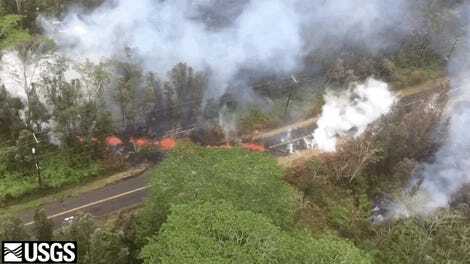 According to a tweet by the USGS, it’s now connected to the mainland by a strip of lava, making it an isthmus. Farewell, little island. We barely knew ye.